Academic excellence, achievement and high aspirations are key features of an education at Kingsley. As a result, a limited number of academic and Kingsley scholarships (up to 30% of fees) are awarded to a number of new Year 7 pupils in recognition of their academic excellence. Candidates for the academic scholarship will be selected on the basis of their performance in the entrance examination. This means that any Kingsley Preparatory pupils who wish to be considered for this scholarship should also register for the entrance examination. Art is a valued part of the curriculum for all ages and is offered at both GCSE and A Level. Up to two scholarships are awarded in Year 7. We would expect the holders of this scholarship to take art at GCSE. Closing date for registration: Friday 5 October 2018. Candidates for the Art Scholarship will need to present a portfolio of work, authenticated by their current school, for inspection by Friday 5 October 2018. Performing Arts are an integral part of life at Kingsley both inside and outside the curriculum. The scholarships recognise development and talents in music and drama. We would expect the holders to play an active part in the school’s concerts and performances, and to study drama and/or music at GCSE. Physical Education and competitive sport is a vital part of the Kingsley community. The holders of this scholarship will be expected to participate fully in the sporting life of the school and take PE at GCSE. Week commencing Monday 8 October 2018. 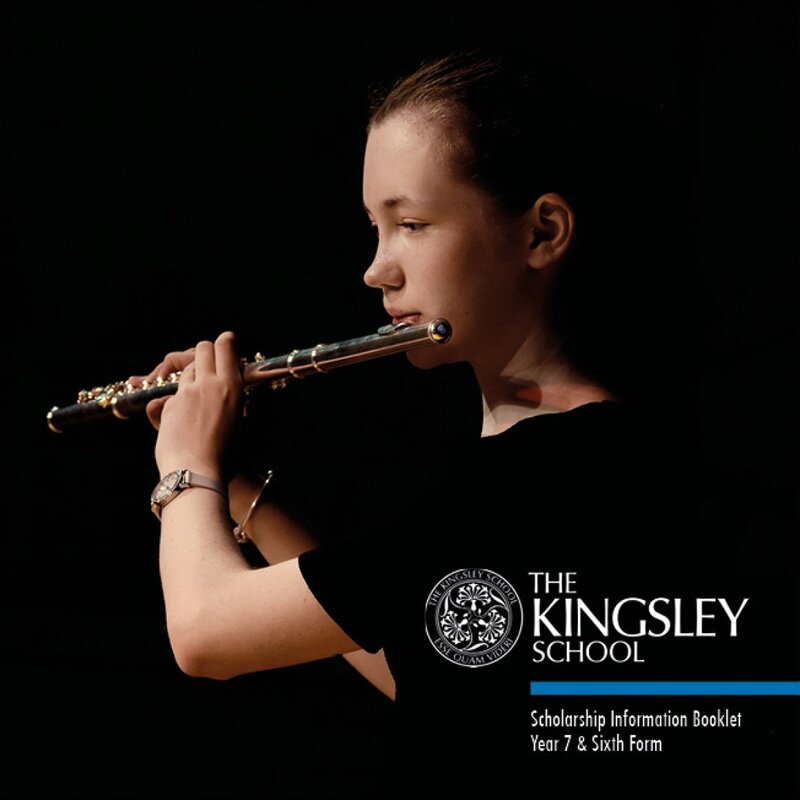 The Kingsley School offers a number of means tested bursaries to assist with entry to the school. Please contact the Finance Office for more information, including an application form and information about the deadlines for applying. Further details and application forms for scholarships are available in our Scholarship Booklet. Click or tap on the image to download.